This was taken on September 26, 2005 during my daughter’s educational field trip . Emilio Aguinaldo (March 23, 1869 – February 6, 1964) was a Filipino general, politician, and independence leader. He played an instrumental role during the Philippines’ revolution against Spain, and the subsequent Philippine-American War that resisted American occupation. Aguinaldo became the Philippines’ first President. He was also the youngest (at age 29) to have become the country’s president, and the longest-lived (having survived to age 94). 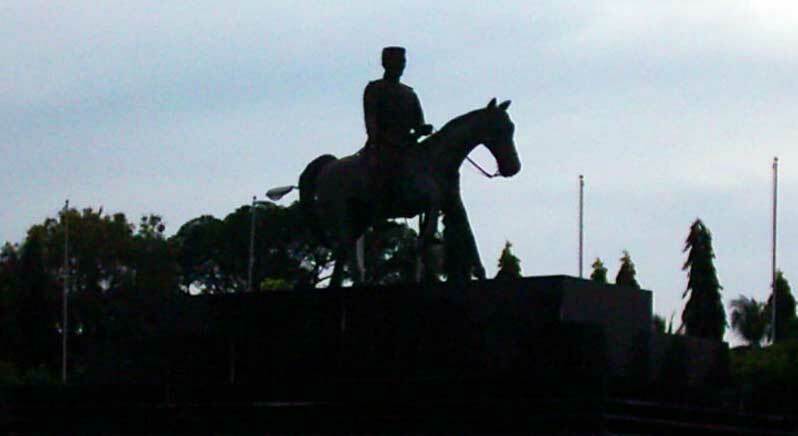 This entry was posted in Photos, Places and kids and tagged education field trip, General Emilio Aguinaldo Monument, Photohunt, school field trip on January 17, 2011 by Yami.